My name is Emily Koeltzow, and I’ll be writing for the blog here at Amber Sky. I am a 34 year-old mother of three great kids, and if you were wondering where I went to high school, the answer is North High in Evansville, Indiana (go Huskies!). 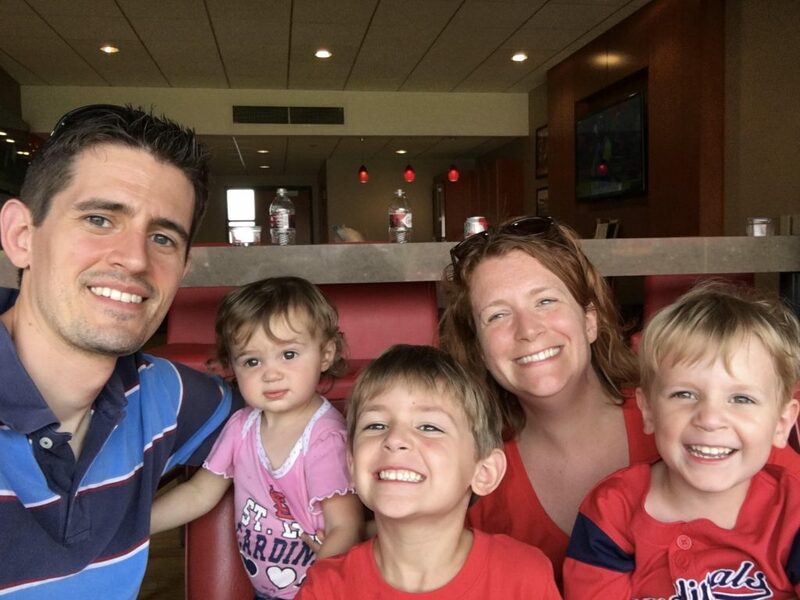 I’ve held several jobs in my life, from English teacher in inner city St Louis to support staff at a law firm to stay at home mom, where I currently engineer my domestic situation and try to keep up with an overactive toddler while the oldest two are at school. I love coffee, science fiction/fantasy novels, Netflix, and my husband Paul. And like all parents, I worry about the world around my kids. Are they safe? Are they happy? Are they growing properly? The aim of this blog is to explore the ways we teach, interact with, and protect our children, and introduce you to the services Amber Sky and its partners offer to STL families. I hope you enjoy everything you read here and learn a little something too. Feel free to leave a note or a question about the services offered at Amber Sky or come and visit the store. We will always be happy to see you!